A leading advisor to the U.S. military, the Rand Corporation, released a study in 2008 called “How Terrorist Groups End: Lessons for Countering al Qa’ida“. The report confirms what experts have been saying for years: the war on terror is actually weakening national security. In fact, starting right after 9/11 — at the latest — the goal has always been to create “regime change” and instability in Iraq, Iran, Syria, Libya, Sudan, Somalia, Lebanon and other countries. The goal was never focused on destroying Al Qaeda. As just one example, the U.S. let Bin Laden escape in 2001 and again in 2007. After the bombing of two US embassies in East Africa [in 1988] by al-Qaeda operatives, State Department counter-terrorism official Michael Sheehan proposed supporting the anti-Taliban Northern Alliance in Afghanistan against bin Laden’s sponsor, the Taliban regime. 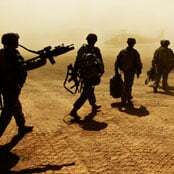 However, senior US military leaders “refused to consider it”, according to a 2004 account by Richard H Shultz, Junior, a military specialist at Tufts University. Empire after empire has broken its back trying to control Afghanistan. It is the crossroads between East, West, South Asia and Central Asia. And now it is the proposed site for a Trans-Afghanistan gas pipeline. [Presidential] aides said today that Hillary Clinton told her that troops might still be in Afghanistan in 60 years, like American bases have remained in Japan, Germany and elsewhere long after WWII ended.